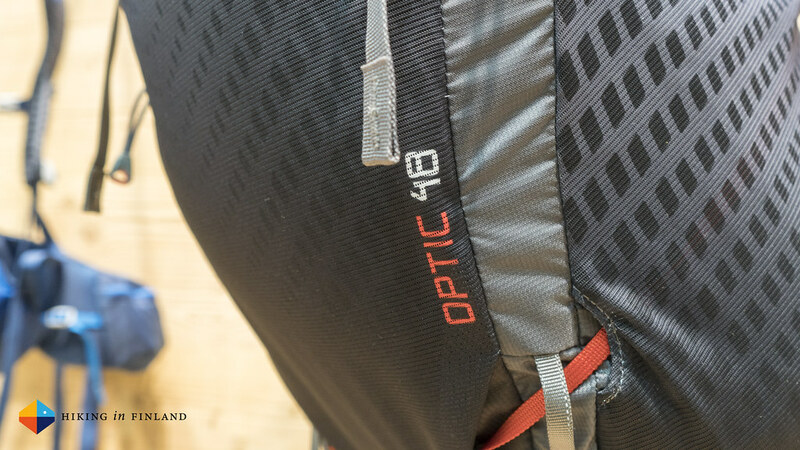 We take a look at new backpacks coming in 2018 from Osprey, Gregory, Ortovox, Mammut, Arc’teryx, Eagle Creek and CiloGear. Disclaimer: I’m a co-founder of the Outdoor Blogger Network and have close relationships with many of the companies mentioned in this article. However, I haven’t been paid to write this article, and also does my involvement with some of these companies not influence the article as I maintain full editorial control of the content published on this site. Read the Transparency Disclaimer for more information on affiliate links & blogger transparency. 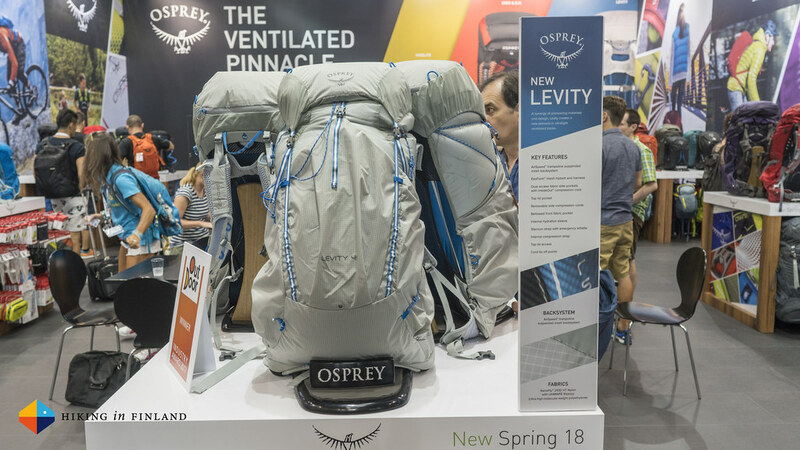 First up is the Osprey Levity backpack. 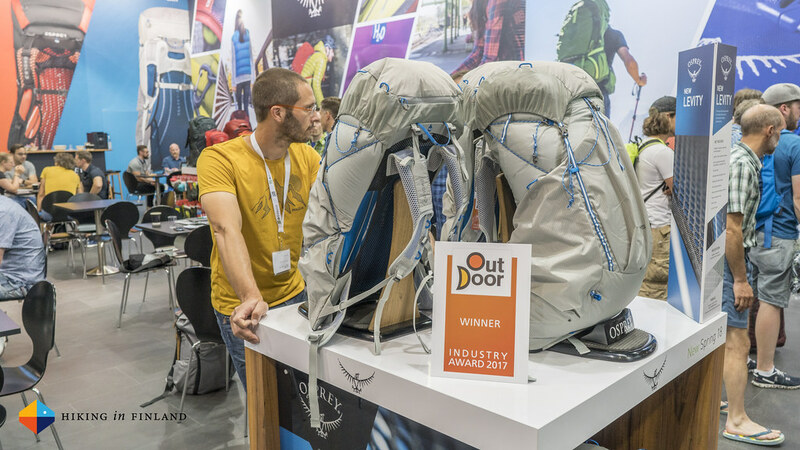 It’s an OutDoor Award Winner, will come in spring 2018 into the shops and then is available in two sizes: 45 l (810 g) and 60l (850 g). What is special about the Levity is that while it looks like a normal Ultralight backpack it actually has a ventilated mesh back. 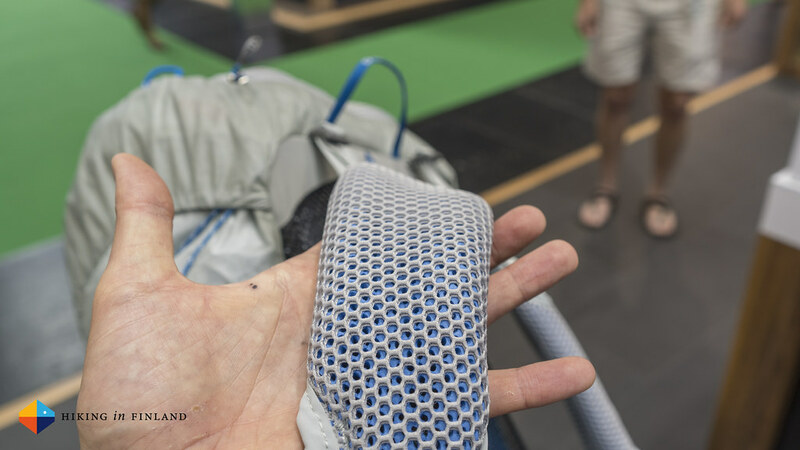 My hand easily fit between the backpanel of the pack and the mesh frame, this should make it an excellent choice for hiking in very warm climates. The large side pockets can be accessed from the top and side, there’s a very big front pocket for gear you need throughout the day and a zippered lid which stores keys, phone, wallet and such. 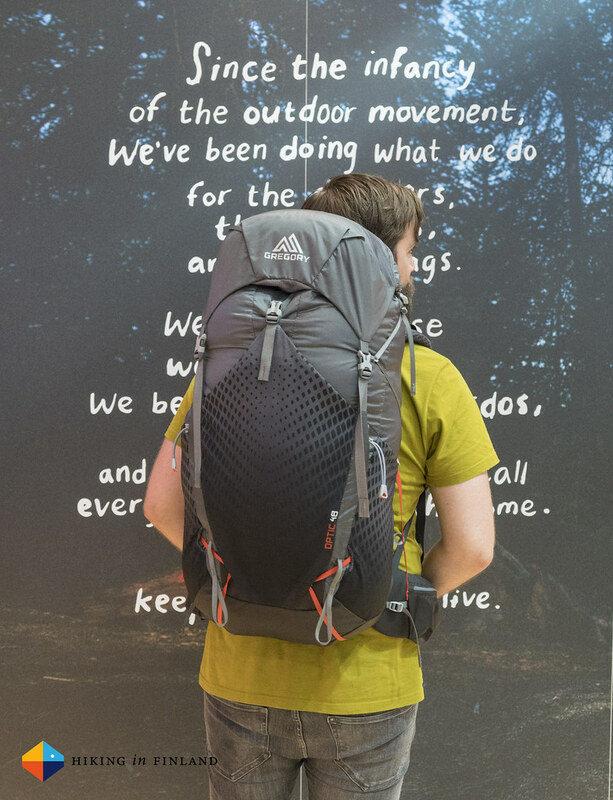 The beauty of this pack is not just that it means lightweight packs go really mainstream but that this will open up lightweight backpacking up to a much wider audience. 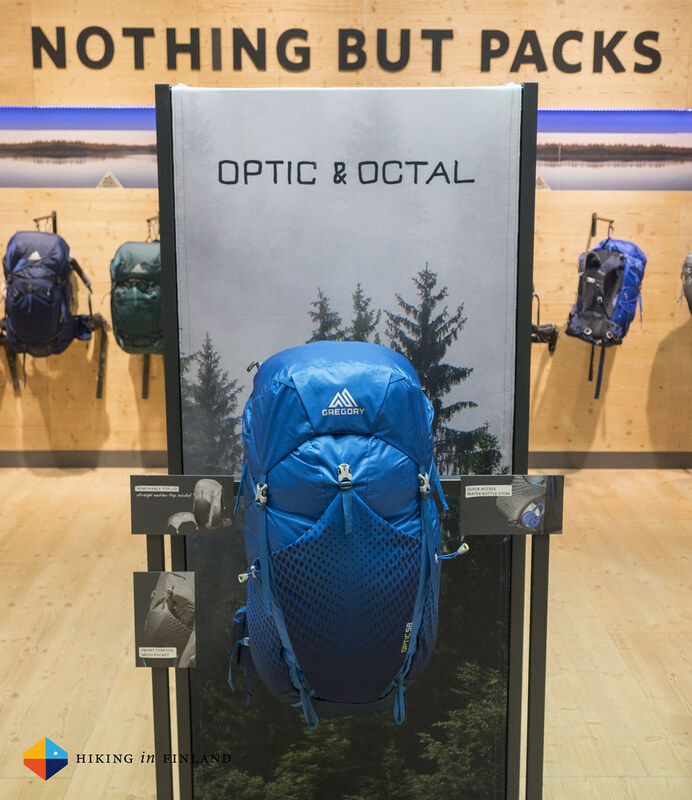 Osprey packs can be found in many brick & mortar outdoor shops around the globe, and that means consumers will see this pack live in the store, can try it out, and convince themselves of the benefit of a lightweight pack that carries well. It’s, so to speak, the perfect backpack to convert many more people to the ultralight path of backpacking because it’s nice that you can e & try the pack before you buy it. To get into the Mammut booth you had to be a Blogger (Yay!) or have an appointment. 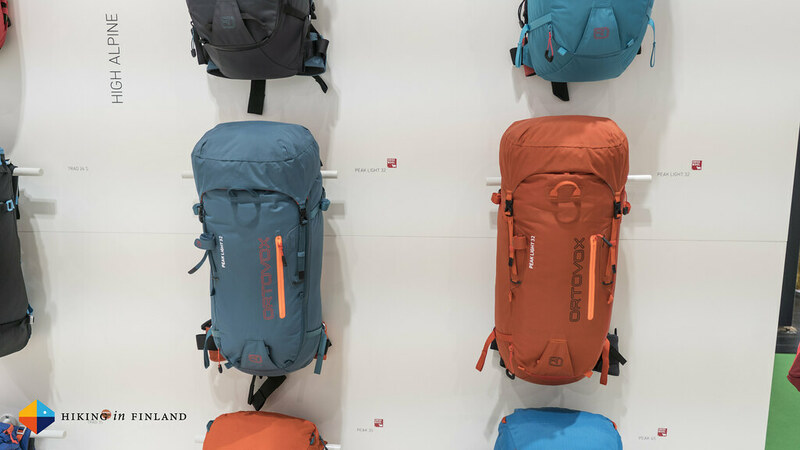 I lacked the latter thus made use of my Blogger Pass to enter the booth, and here the Mammut Trion Nordwand 20 pack caught my attention. That ain’t difficult as it is orange and I am drawn to everything orange (I blame my Dutch Heritage). 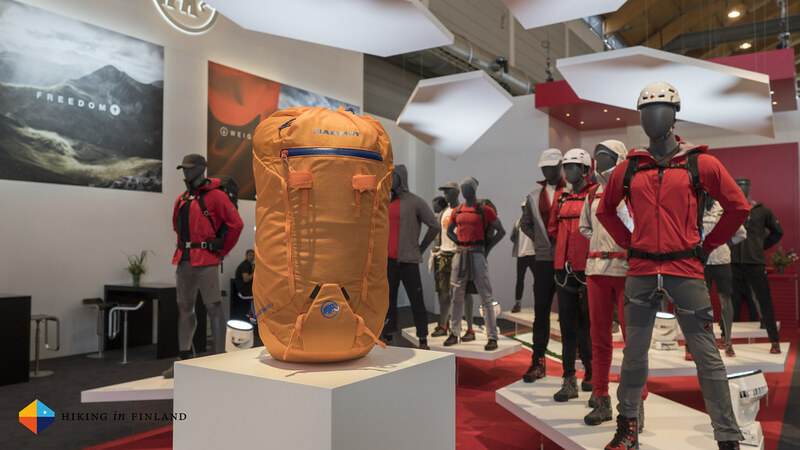 The 20 l pack weighs 580 g, is made of a Dyneema Ripstop material, has a clean look and even is pretty water-resistant with a 5,000 mm water column. 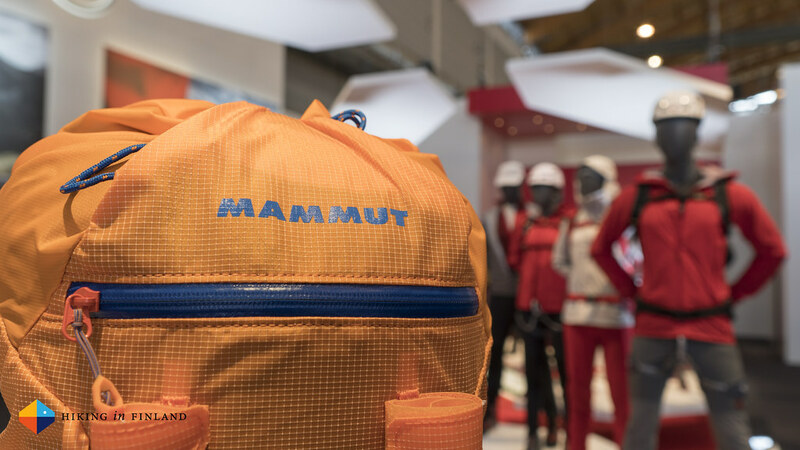 Like the garments in the Eiger Extreme Series the pack has been been developed using Mammut High Reach Technology in the carrying system, which Mammut claims makes reaching upwards easier & hence provides additional freedom of movement for climbing. If your goals are fast & light ascents of high mountains then this is a pack to keep in mind for summer 2018. The next pack brings us back to the trails and is made for backpacking. Long-time readers might recall that my first backpack was a Gregory pack, for which I paid 500 DM back when we had not yet the Euro (It’d would be 250€ in today’s money!). For a teenager that was a lot of money, and I used this pack for over ten years until I lost it in an accident (possibly I repeat this story every year anew?). Anyway, fast forward to 2018 and we’ll get the Gregory Optic, (and Octal for Women, which is a much cooler name! ), Gregory’s next foray into the lightweight pack niche. 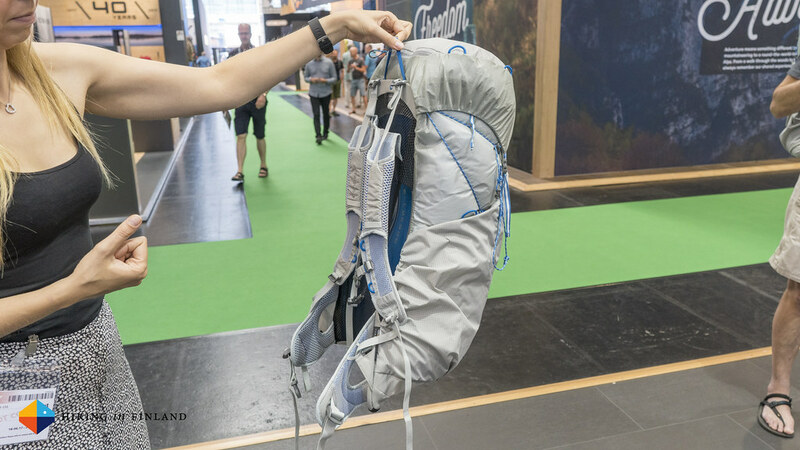 It isn’t as light as the Levity above at 1.120 g for the 48 l version and 1.140 g for the 58 l pack, but it comes with the Gregory-specific comfortable fit, robust materials and full functionality. 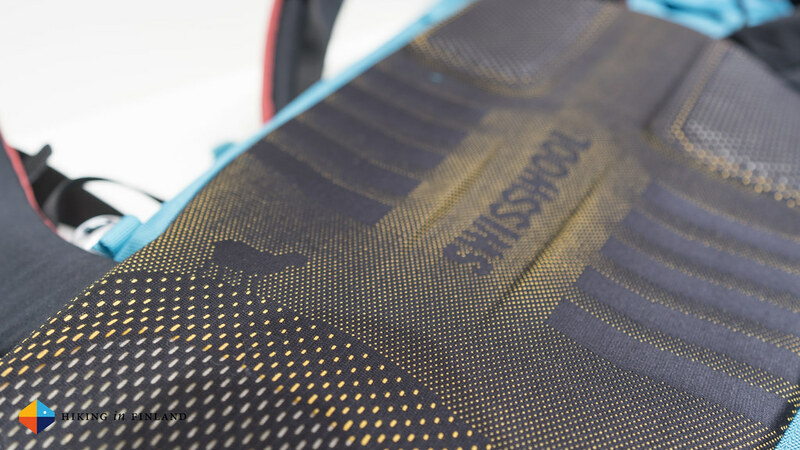 It has an AeroSpan suspension system which is a further development of the Gregory VaporSpan system, and also should make the pack comfortable to wear in warmer climates. Add in the well-carrying hipbelt from gregory and you have a pack that should carry loads up to 14 kg nicely. It also has a large stretch front pocket, stretch side pockets, an integrated raincover and several bells & whistles to attach things to the pack. At 190€/ 210€ it’s a bit cheaper than the Levity but almost 300 g heavier. 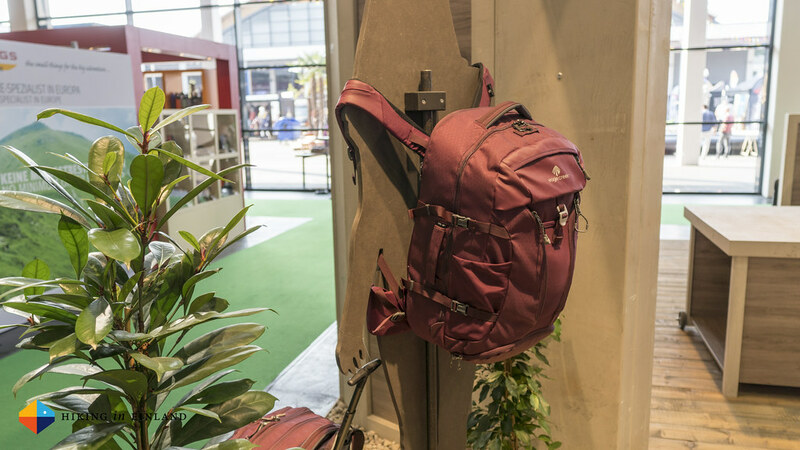 However, this is again a step into the right direction I believe, as it makes lightweight backpacks easily available to a large audience, and hence I welcome this addition to the market. CiloGear was also again at the show and handing out backpacks to this Thomas Huber guy. I also got a backpack - and then the owner whispered something into my ear, I gave back the pack (the second CiloGear backpack I returned voluntarily - yeps, I might be slightly insane =) and now am waiting for a parcel of joy from Oregon. 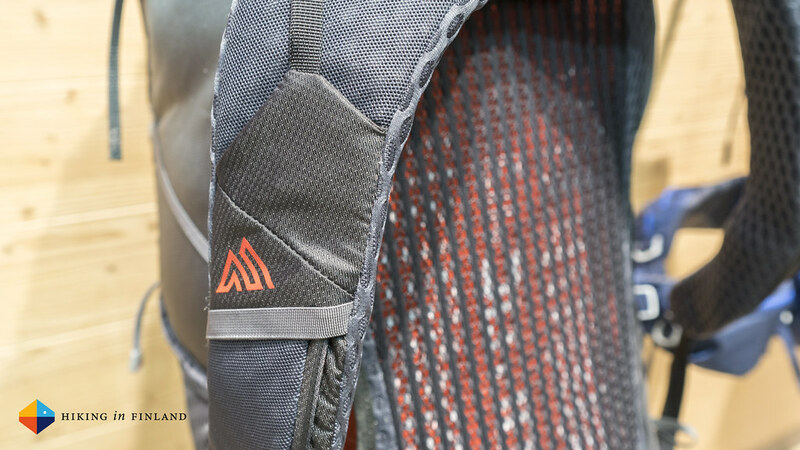 I also saw the two new Arc’teryx trailrunning backpacks - and while I have some photos of them they’re not that good, hence the stock photo underneath. 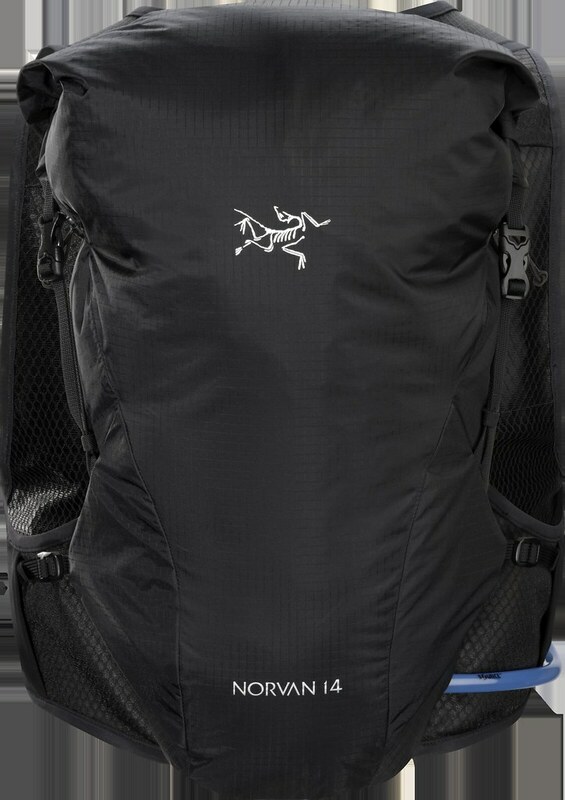 The Arcteryx Norvan Hydration Vest comes in a 7 l and a 14 l Version and the 14 l version is lighter than the smaller 7 l pack. 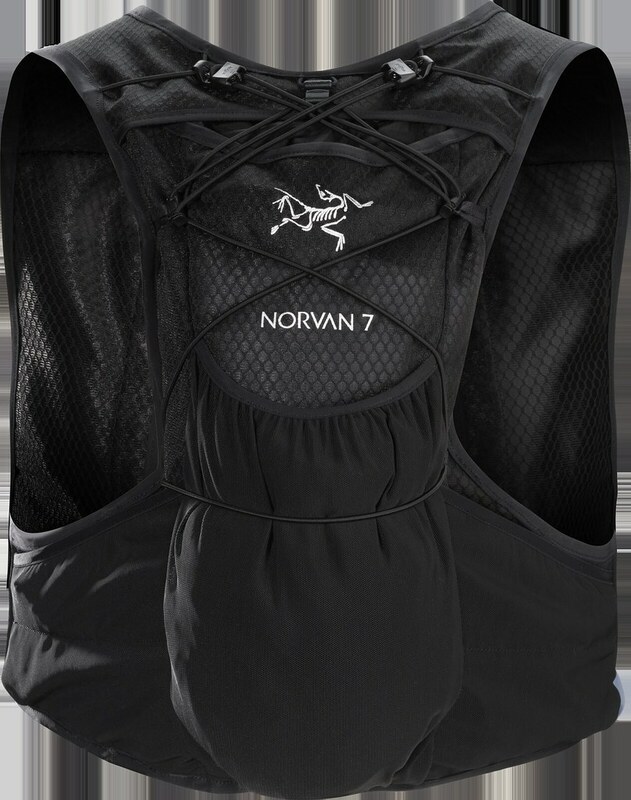 The Norvan 14 is 256 g or 417 g with the included bladder, while the Norvan 7 weighs 263 g or 424 g with the water bladder. Both packs have that comfortable ‘bounce-free’ fit that wears more like clothing, yet with the functionality of a backpack. The 14 l pack is carrying your snacks, water and kit for long runs, while the smaller Norvan 7 is for shorter runs where you don’t need so much gear. Both are impeccably designed as you know from Arc’teryx and will retail for 170€ and 190€ respectively. Which brings us to the last backpack in this article, the Eagle Creek Global Companion Travel Pack. This is a pack for my travel (blogger) friends who only take a carry-on on their journeys. 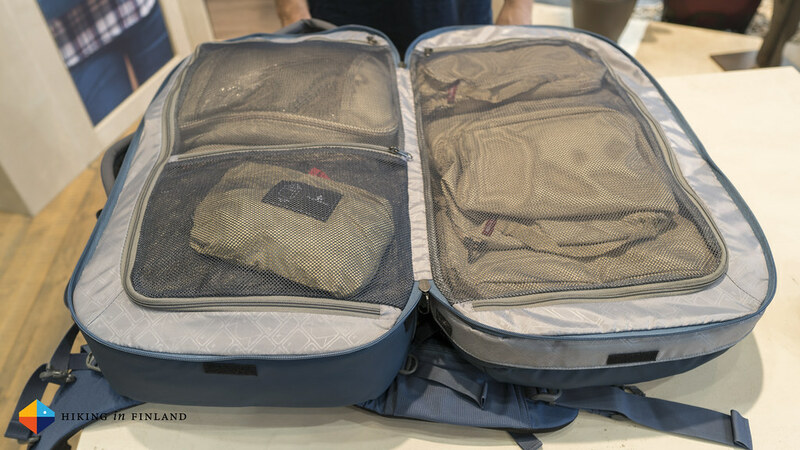 Available as a 40l and a 65l pack these fold open like a book and have zippered compartments which keep your garments and kit in place which is great for packing and unpacking - I’m not a big fan of packing a pack from the top. At 1.620 g for the 40 l pack and 2.330 g for the 65 l pack they’re not super light, but if you only need it to get your gear from the Airport to your AirBnB or Ho(s)tel it’s alright. They have side pockets, self-repairing and lockable zippers, a rainfly and have the No Matter What™ Warranty - though as they’re build from durable materials you probably don’t need to make use of it. 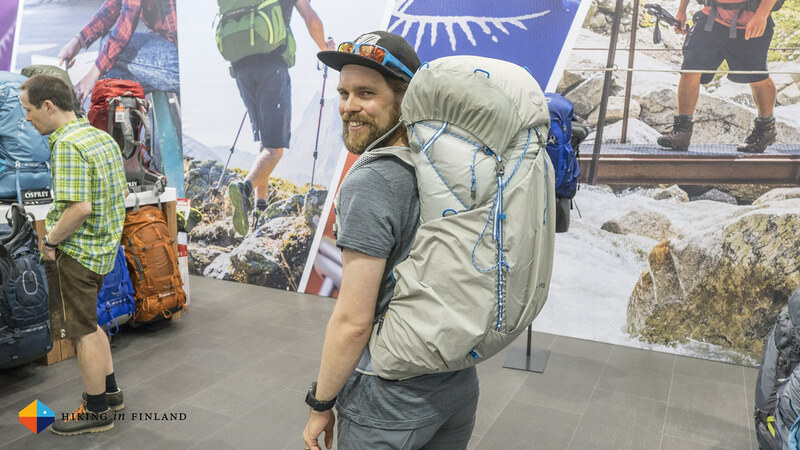 Stay tuned for the next #OutDoorFN Gear post coming soon! In the meanwhile have a look at the OutDoor 2017 Photo Album and check out my Facebook Live Videos which I shot & shared during the show. 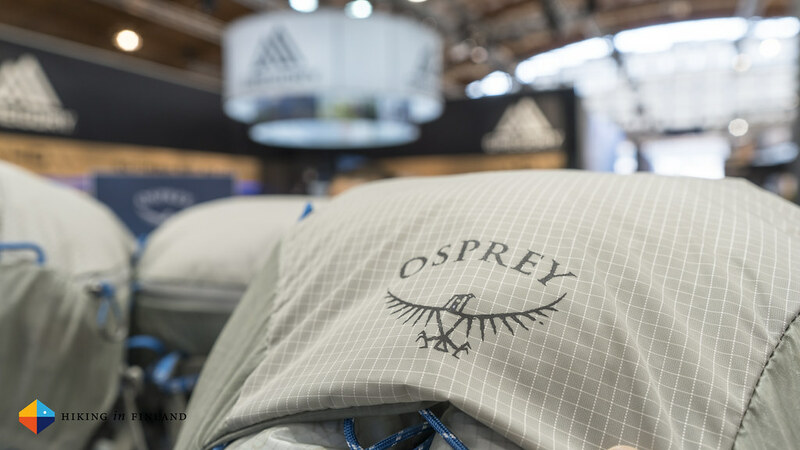 If you enjoy this #OutDoorFN 2017 Re-Cap & other articles why not support me with a coffee or two? I work Full-Time on Hiking in Finland to bring you inspiring trip reports, in-depth gear reviews and the latest news from the outdoors. You also could subscribe to the rarer-than-ever Newsletter and follow along on Instagram, Twitter and Youtube for more outdoorsy updates!